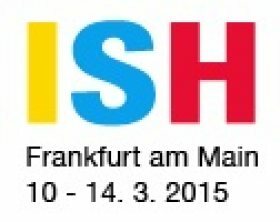 2015 The world´s leading trade fair of sanitary installations, heating and air-conditioning ISH 2015 is going to take place from 10th to 14th March, 2015 in Frankfurt am Mein, Germany. This event is all about energy and water therefore it is divided into two major parts – ISH Energy and ISH Water. We are going to be there, too, and we are going to introduce Grenamat AS, Grenamat AL, Grenaisol and the whole range of fire-resistant, non-combustible and refractory materials. Come and visit us – pavilion 9.2, stand B 64.